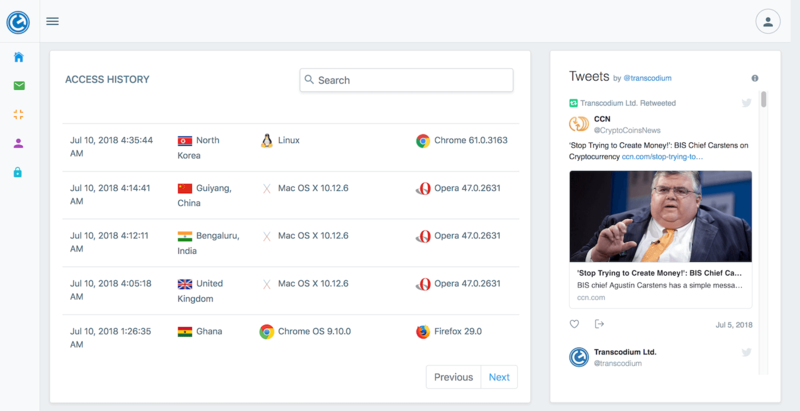 Above is the UI of the new Transcodium account system, over the past days, our team has been working tirelessly to improve the security of the system with new features. Below are some of the new features we worked on. Access Monitoring, Logging & Alert : Cryptocurrencies have value and must be treated with the same care as traditional currencies. 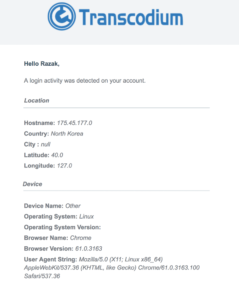 Transcodium has implemented a solid logging and alert (email & SMS) feature where every activity is logged and made available to you in the account dashboard. This will help detect any unauthorized access as soon as possible. 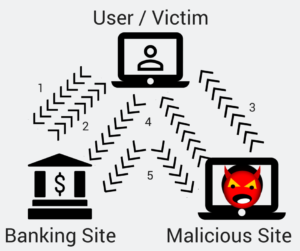 Cross-Site Request Forgery (CSRF) : This is an attack that forces an end user to execute unwanted actions on a web application in which they’re currently authenticated. These unwanted actions could be sent from a hacker via an email or many other forms, The Anti-CSRF feature was created and successfully tested. This will help prevent cases of stolen accounts or funds by a malicious user. It’s very frustrating when you have no access to your phone and you need to access your account. 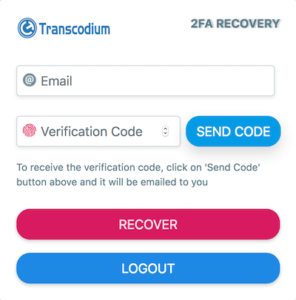 With the 2FA recovery feature, you can immediately get an emergency access code to access your account.